OnDemandLaws’ 1st National Online Employment Contract Drafting Competition-2018 is aimed at promoting the importance of ‘Employment Contract’. An employment contract is a must have tool for every employer, establishment and startups. An employment contract is governed by the provisions of Indian Contract Act, 1872 and by other relevant legislations. An employment contract basically establishes a legal relationship between an employee and an employer. It prescribes the role, responsibilities, duties and other relevant aspects related to the employment. It tends to protect the interest of employer as well as of employee also. This competition allows the students to gain the knowledge of important provisions and clauses of employment contract Employment contract drafting competition enables the students to enhance their contract drafting skills, specifically employment contract drafting skills. By participating in this competition students will get to know that, which provisions or clauses should be included as to protect the basic interest of the parties to the contract. An employment contract without the incorporation of restrictive covenants is not much effective. But, however, these restrictive covenants must not affect the basic fundamental rights of an employee. So, basically drafting an employment contract is not that easy. 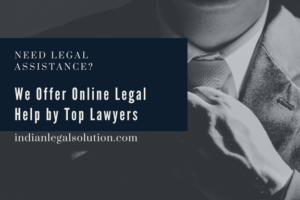 That is the only reason that OnDemandLaws decided to organise this employment contract drafting competition so as to enable the students to know more and more about this concept. An employment contract can be beneficial for an employer in numerous ways. 1) It shall be an online event. 2) At present students/participants must be pursuing Bachelor’s Degree in Law, i.e., 3-year LL.B. Course or 5-year LL.B from any recognized college or university or pursuing LL.M from any recognized university or preparing for judiciary or pursuing any Bachelor Degree or Master Degree in any filed or willing to learn the importance of employment contract. 3) In one team, not more than 2 participants are allowed. But, however, participants may seek Individual or Single participation. In one team, students from different universities are not allowed. 4) Any University/College can send as much entries as possible. 5) Employment contract must be plagiarism free and must be in English language only. 1) The Registration Fee is 250 for an Individual/Single Registration & 450 for a Team Registration. 2) Mode of Payment: Registration Fees should be paid via Paytm @8351033361 or deposit the registration fees into a bank account through net banking. Bank account details are: Name of the Account Holder: Mr. Varun Kumar, Account No: 918351033361, IFSC Code: PYTM0123456. 3) The participants must submit the duly filled registration form via JotForm after making Payment, attach the screenshot of Payment while filling up the registration form. 4) An acknowledgement will be auto generated after filling up the registration form. For Individual/Single Registration (250 + 50) & For Team (450 + 50). All submissions must be sent as DOCX files through a Google form. Submissions submitted through any other mode other than Google form shall be disqualified. The title of the file must be in the following format: “OnDemandLaws’ 1st National Online Employment Contract Drafting Competition 2018”. Transfer the ‘Registration Fee’ carefully; we’ll not be liable for any kind of mistake done by the participant at the time of transferring the registration fee. Registration fee is not refundable at all costs. It will be refundable only in a case the competition is called off by the organizing committee due to any unavoidable circumstances. (In such a case refund will be initiated in your PAYTM & BANK ACCOUNT NUMBERS). The competition can be called off by the organising committee at any time, even during the competition also. 1) FIRST PRIZE: Certificate of Appreciation + Cash Prize of Rs 1100 + One Free Research Paper Publication In The Journal For Indian Researchers (ISSN: 2581-3595) (A Law Journal and it is subject to Journal’s Publication Policy) + 15 percent cashback on all upcoming events of OnDemandLaws till December 2018. 2) SECOND PRIZE: Certificate of Appreciation + Cash Prize of Rs 900 + One Free Research Paper Publication In The Journal For Indian Researchers (ISSN: 2581-3595) (A Law Journal and it is subject to Journal’s Publication Policy) + 15 percent cashback on all upcoming events of OnDemandLaws till December 2018. 3) THIRD PRIZE: Certificate of Appreciation + Cash Prize of Rs 800 + One Free Research Paper Publication In The Journal For Indian Researchers (ISSN: 2581-3595) (A Law Journal and it is subject to Journal’s Publication Policy) + 15 percent cashback on all upcoming events of OnDemandLaws till December 2018. 1) DATE OF RELEASE OF OFFICIAL NOTIFICATION: (1ST JUNE 2018). 2) LAST DATE FOR REGISTRATION: (15TH JUNE 2018). 3) LAST DATE FOR REGISTRATION WITH LATE FEE: (16TH JUNE 2018). 4) LAST DATE FOR CLARIFICATIONS & ALLOTMENT OF TEAM CODE: (17th JUNE & 18th JUNE 2018). 5) LAST DATE FOR SUBMISSION OF SOFT COPY OF EMPLOYMENT CONTRACT: (30th JUNE 2018). 6) DECLARATION OF RESULT: (ON OR BEFORE 31st JULY 2018).